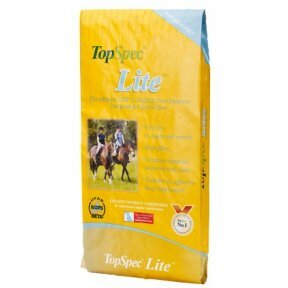 Lite Feed Balancer is designed for horses and ponies that are good-doers. 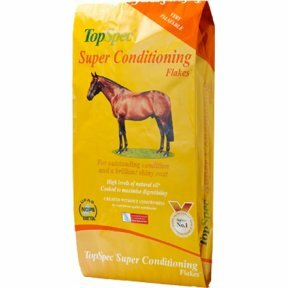 It is ideal for horses that are overweight when fed as part of a calorie-controlled diet. 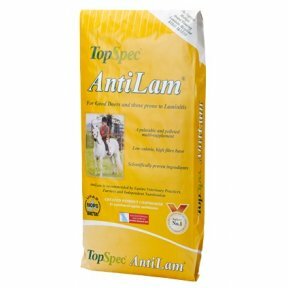 AntiLam is a pelleted multi-supplement designed to provide nutritional support for those horse prone to, being treated for, or recovering from laminitis or Azoturia. AntiLam is used and recommended by nutritionists, vets and farriers. 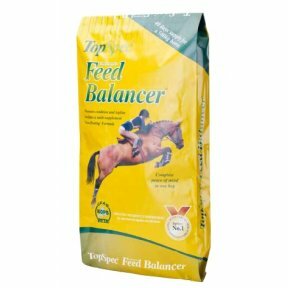 Comprehensive Feed Balancer is a very palatable Non-Heating pelleted feed that is formulated without cereal grains and is low in sugar and starch. It contains many supplements combined with good quality protein to promote muscle development and topline. 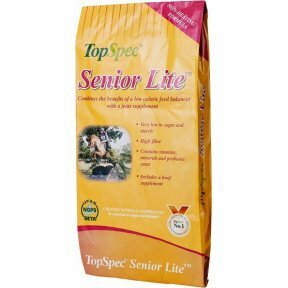 The supplements include a top-specification broad-spectrum supplement and specialised supplements including a superb hoof supplement, generous levels of anti-oxidants, probiotics and sophisticated digestive aids. 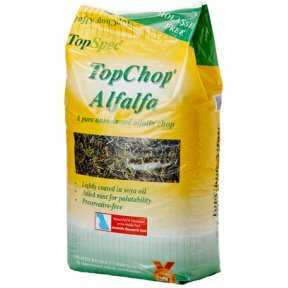 TopChop Alfalfa is a natural product made from top quality British alfalfa, with a light dressing of soya oil and real mint. 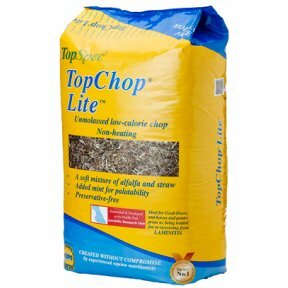 TopChop Alfalfa contains no added molasses or any other sugar coating. It is ideal for working horses, broodmares and youngstock. 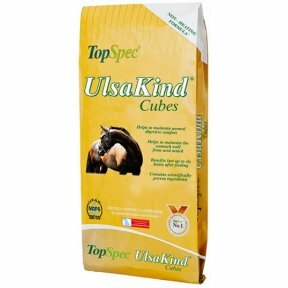 Main features of UlsaKind:- Helps to maintain healthy digestive comfort. Helps to maintain the natural integrity of the stomach lining from acid attack. Aids acid-buffering in the stomach in several ways#.benefits lasts up to six hours after feeding. Contains scientifically proven ingredients. 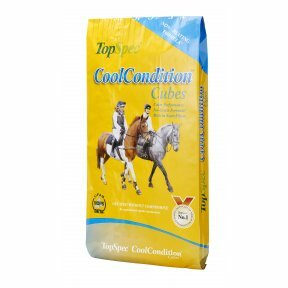 CoolCondition Cubes provide Non-Heating but conditioning calories and are ideal for horses that need condition without fizz. 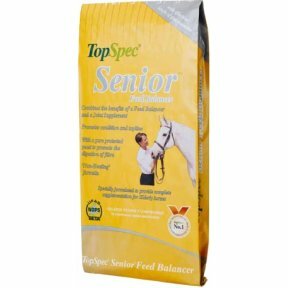 Senior Feed Balancer is designed for elderly horses. It combines the benefits of a feed balancer and a joint supplement, in a highly cost-effective way. This highly innovative muesli blend is 25% more conditioning than traditional conditioning mixes and cubes. Super Conditioning Flakes include cooked naked oats and therefore provide #fast-releasing# energy. As an approximate guide 1.5kg (3lb) of Super Conditioning Flakes will replace 2kg (4lb) of traditional cereals/cerealbased feeds. 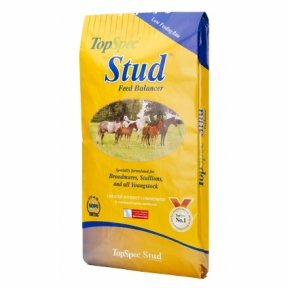 Stud Feed Balancer is designed for broodmares, young stock and stallions. The low sugar and starch formula will promote superb muscle and skeletal development without providing the excess calories which can result in overtopping.